RedBeam Support Contracts are also available. 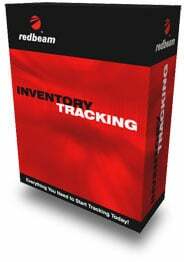 Track the movement of materials by using barcodes and barcode scanners or mobile computers with barcode scanners to receive, move and issue items within your warehouse, distribution center, stockroom or store. The standard edition of the software is a complete item database with the ability to use cabled barcode scanners attached to PC workstations. The mobile edition of the software is a complete item database plus the ability to collect data on scanner-enabled mobile computers. The software includes unlimited mobile computer licenses for compatible mobile computer models. The mobile scanner gives you the ability to scan your items where they are located rather than at one central scanning station. Print inventory, reorder, out-of-stock, overstock and transaction reports. Supports Windows NT, 2000, XP or 2003. The RedBeam RB-MIT-1 is also known as Red Beam	RED-RB-MIT-1	or RBMIT1	.